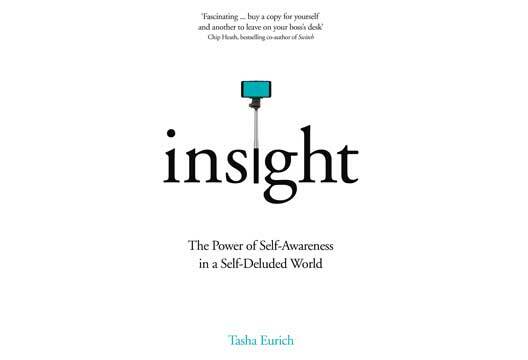 In this 'long read' extract from 'Insight: The Power of Self-Awareness in a Self-Deluded World', Tasha Eurich shows how considering how others see us can add colour to the picture we hold of ourselves. There’s an old science-backed adage that the words of a drunk person are the thoughts of a sober one. Late one Saturday night in a crowded hometown bar, I recently learned just how true this really is. It all began, innocently enough, in a trendy restaurant in downtown Denver. My husband and I, along with six of his oldest friends, had just had a magnificent meal with a surplus of food and wine. Despite the fact that I (as designated driver) had been soberly sipping club soda, I was in a wonderful mood. I’d known everyone around the table for more than 10 years, and it was just one of those nights when everything clicked. My friends were at their witty best and my stomach was sore from laughing. When the check came, we decided we were having far too much fun to go home. An hour later, my already intoxicated friends had been quickly overcome with an even more intoxicating level of nostalgia. (The Celtic, it turned out, was where they used to hang out more than 20 years earlier.) We pushed a few high-top tables together, and with loud music blaring in the background, they began to reminisce. I chuckled to myself, picturing these now buttoned-up, middle-aged professionals engaging in youthful shenanigans. I’ll never forget what happened next. In the noisy ruckus of that crowded bar, Teresa stood up, clasped my skull with her powerful hands, and then proceeded to twist my head, agonizingly, all the way around. Well she didn’t do that, of course – but that’s what it felt like. I’ll spare you the finer details, but apparently 26-year-old me, a freshly minted PhD who thought she knew everything, had been rather arrogant and high-maintenance. “You’re totally welcome,” she said, beaming. It was all I could do to stop myself from kicking her off her stool. Once I composed myself, I recognized that this was a true alarm-clock moment that actually presented a valuable opportunity. That opportunity, I hoped, would be to prove that Teresa didn’t know what the hell she was talking about. But either way, I had to probe further. So in the car on the way home, with my very merry husband in the passenger seat, I recounted the conversation. “Did I?” I said, feigning ignorance. At the time, I’d been of the staunch opinion that it was totally unfair that all of my peers had offices and I didn’t. But suddenly, I saw things from another perspective: there I was, newly hired Dr. Smarty Pants, demanding an office like a petulant child. Now, in retrospect, I could see how this must have come across. And I was mortified. For weeks, a sea of emotions swirled in my mind. Was I surprised to hear this truth about my younger self? Absolutely. Embarrassed at my behavior? You bet I was. But most of all, I was disappointed that no one – no one! – had said anything to me about it for almost 10 years. Mercifully, I have apparently improved in the intervening decade, but the fact that 26-year-old me had these tendencies is still a red ag for present-day me. And since gaining this valuable insight, I’ve kept it in the back of my mind, bouncing my behavior off it to be more objective about how I might be coming across. Those drunken words had revealed one of the most sobering truths about myself I have ever learned. If internal self-awareness means gaining insight by looking inward, external self-awareness means turning our gaze outward to understand how we are seen. And no matter how hard we try, we simply cannot do this on our own. Unfortunately, though, learning how others see us is usually thwarted by one simple fact: even the people we’re closest to are reluctant to share such information. We might pick up an observation here and there (with or without the aid of lip-loosening booze), but without concerted effort to uncover it, we’re usually not getting, as they say in the courtroom, the whole truth and nothing but the truth. In fact, we live in a world where people usually don’t tell us the truth about ourselves. Stir in our uneasy reluctance to ask for it and we have a recipe for blissful ignorance. Indeed, for many people, the mere thought of finding out how others see us can conjure up many fears and insecurities (“You really do look fat in those jeans” or “Your presentation was incoherent and underwhelming” or “You were insufferably arrogant when you were 26”). Though finding out how others see us can be scary, intimidating, or downright painful, it’s far, far better than the alternative. Imagine for a moment that it’s a Monday at your office. After a quick mid-morning bathroom break, you return with a long strip of toilet paper stuck to the bottom of your shoe, a fact to which you are completely oblivious. As you make the long walk back to your office, your co-workers begin snickering. “Did you see that?” they ask each other – yet to you, they say nothing. And little do they know that you’re headed to a meeting with an important client. When you and your unintentional accessory enter the conference room, your client smiles bemusedly, and also stays mum. Then, despite an otherwise successful meeting, she concludes that you’re scatter-brained and slovenly and decides not to give you more of her business. If just one of your co-workers had pulled you aside, you’d have been spared the whole embarrassing and costly ordeal. Of course, that was an intentionally ridiculous example, but the truth is that whether it’s a gruff managerial style, poor people skills, a tendency to stutter when nervous, or something else, we all have some kind of metaphorical toilet paper stuck to our shoe. And more often than not, we are the last to see it. Now, it’s rare not to wonder, at one point or another, what people are saying about us when we leave the room. But rather than indulge this urge, most people stubbornly cling to their blissful ignorance. Since no one has told me otherwise, we decide, I must know everything I need to know about [my job performance/my marriage/my leadership abilities]. Of course, this instinct is understandable – as we’ve seen, the cold hard truth can be hard to hear. But by avoiding it, we risk two equally unappealing outcomes. The first is that we don’t learn the truth about the behaviors that are holding us back and are doomed to walk around with metaphorical toilet paper stuck to our shoe while people snicker behind our backs. The second is that we do eventually learn it – through an accidentally overheard conversation, a “come-to-Jesus moment,” or a beer-fueled admission at a dive bar – in a way that blindsides us, or at a time when it’s too late to do anything about what we’ve learned. The saying that “feedback is a gift” is such a painful cliché that we often forget how true it really is. And we need this gift for one simple reason: other people generally see us more objectively than we see ourselves. Psychologist Timothy Smith and his colleagues powerfully demonstrated this in a study with 300 married couples in which both partners were being tested for heart disease. They asked each participant to rate both their own and their partner’s levels of anger, hostility, and argumentativeness – all strong predictors of the illness – and found that people’s self-ratings were infinitely less accurate than those of their spouses. Another study asked more than 150 Navy officers and their subordinates to rate the officers’ leadership style, and found that only the subordinates could accurately assess their bosses’ performance and promotability. Other people have even been shown to anticipate our future behavior better than we can (a fact to which you can attest if you’ve ever met a friend’s new, obviously ill-suited love interest and correctly predicted that the relationship wouldn’t last). In fact, even complete strangers – that is, people we have never met face-to-face – can see us disconcertingly accurately. Researcher David Funder and his colleagues compared how undergraduates were rated by those who knew them well (parents, friends, and roommates), those who knew them casually (college and hometown acquaintances), and people they’d never met (strangers shown just a five-minute video of them) on roughly 70 personality traits. The three groups’ ratings were astonishingly accurate: a match for all but three traits! The groups also tended to see similar qualities in the participants, regardless of how well they actually knew them. The surprising take-home is that even people you don’t know well can be a valuable source of feedback. Yet given all this, it’s still tempting to think that we know us better than anyone could ever know us (after all, we live with ourselves every day, right?). To use a metaphor from earlier in the book, when we see our reflection in a mirror, it’s easy to conclude that this is the only, and therefore the most accurate, representation of ourselves. It’s far easier and safer to gaze at our reflection than face the possibility that others might not see us the same way. But gazing inward is a necessary but not sufficient condition for true insight. When I’m speaking to managers in organizations, I’ll often ask, “Who is con dent that your employees have the same opinion about your leadership as you do?” About half the hands go up. So I up the ante. “Keep your hand up if you’d bet your retirement savings on it.” At this point, I usually see a lot of pensive looks, and most people tentatively lower their hands. But when I ask whose opinion is “correct” (theirs or their employees’), perhaps because they want to seem more self-aware, many confidently shout out “My employees’!” Unfortunately, the answer isn’t that simple. Just like we can’t glean total insight just from gazing at our own reflection, looking at ourselves only through the eyes of others doesn’t show us the complete picture, either. A better metaphor for complete self-awareness than a mirror might therefore be a prism. As you may remember from elementary school science class, when you shine a white light into a prism, it comes out the other side in the form of a rainbow. Indeed, every time we seek a new perspective on how someone sees us, we’re effectively adding another color to the picture. Instead of just looking at a at white light, we begin to see ourselves in a richer, more complete and multidimensional way. Jeremiah, one of our self-awareness unicorns, recently discovered how important those other colors really are. Many of his earliest self- awareness milestones were more internal in nature – for instance, discovering that his initial career choice wasn’t a good match and returning to school to pursue his passion of brand management. And though Jeremiah believed he understood himself quite well, he didn’t realize the value of an outside perspective until he had the opportunity to attend a coaching certification program through his company. When you learn what other people think of you, they’re holding up their mirror, which may have a different reflection than your mirror. All of our realities are a bit different, but it doesn’t mean that any one of them is the reality. Put simply, self-awareness is not one truth. It’s a complex inter-weaving of our views and others’ views of us. Indeed, according to studies on this topic, these two different perspectives, rather than capturing redundant information, may simply capture different aspects of who we are. And as we learned earlier, if we have only internal or only external self-awareness, we’re missing a huge piece of the puzzle. So even though we should take others’ opinions seriously, they also shouldn’t define us or completely override our self-image; the key, as we’ll see, is learning how to evaluate the feedback we receive and determine how – and whether – to act on it. In this chapter, you’ll learn a few approaches to help you get honest, actionable feedback and develop a richer picture of how you are seen by others. First, we’ll explore the two biggest barriers to developing external self-awareness. Then I’ll show how to tackle these obstacles using three methods to help you seek the right kind of feedback, both at work and in your personal life. Imagine that you’ve been recruited to participate in a study on consumer preferences. When you arrive in the lab, you’re mildly amused to learn that you’ll be providing your opinions about men’s deodorant. The researcher, let’s call him Dr. Rosen, leads you to a table with various brands, grandly announcing that today, you’ll be evaluating each one on several factors like color and odor. Dr. Rosen finishes explaining the task, thanks you, and leaves the room. A few seconds later, he bursts back in and asks, “Excuse me—are you Glen Lester?” (or if you’re a woman, “Gwen Lester”). You shake your head. Dr. Rosen says, “Well, Glen is supposed to be here any minute. He just got a call—I’ll see if there’s a message.” A few moments later, Dr. Rosen returns and solemnly says, “Glen should be told to call home as soon as he comes in. Apparently there is some very bad news about his family that he needs to get right away.” You wonder what that news could be, feeling sympathy for this man you’ve never met and thinking how terrible it would be to get blindsided by horrible news in public. But here’s the million-dollar question: When Glen eventually arrives, what would you do? Would you tell him he has an important message? And if you did, would you tip your hand that it was in fact bad news? This clever experiment was designed by University of Georgia psychologists Sidney Rosen and Abraham Tesser back in 1968, and as you’ve probably surmised, it wasn’t really about men’s deodorant preferences. What Rosen and Tesser really wanted to know was whether people would be more reluctant to communicate bad news than good news. And that’s exactly what they found. When Glen’s news was good—there was a second group where participants were told that his family had called with a positive development—more than half eagerly spilled the beans as soon as Glen entered the room. But when the news was bad, five times fewer people passed along the complete message. In fact, even when “Glen” (who was really working with the researchers) prompted them by asking what kind of news it was, a full 80 percent refused to answer his question. Even after multiple requests, roughly a quarter never shared the nature of the news, and poor Glen Lester was left totally in the dark. To describe this tendency, Rosen and Tesser coined the term MUM Effect, which stands for keeping Mum about Undesirable Messages. Their findings—confirmed by many subsequent studies—show that when we’re in possession of information that might make someone uncomfortable, we tend to choose the path of least resistance: we simply decide to say nothing. And the MUM effect doesn’t just apply to the kind of personal news people withheld from Glen Lester. It also applies to the delivery of uncomfortable or unwanted information about our failings or weaknesses. I recently heard about a work group whose manager abruptly resigned. Upon learning the news, each of his five employees fancied themselves his successor and eagerly awaited their near-certain promotion. Not only did the promotion never come; the group’s senior manager hired someone from the outside. Apparently, unbeknownst to all five employees, none were doing their current jobs acceptably in the eyes of their employer, let alone being considered for a promotion. But had the leader—or anyone—told them? Of course not! If the employees had received feedback, though, they each would have had the chance to improve. Their manager’s avoidance of social discomfort didn’t just hurt their promotion prospects; it hurt the functioning of the team as a whole. Making matters worse, while people are reluctant to tell us the truth about how they see us, they don’t seem to have the same problem sharing those opinions with others. In 1972, Herb Blumberg, then a graduate psychology student at Johns Hopkins University, conducted a study to investigate this phenomenon. He instructed female undergraduate students to think about four people in their lives—their best friend, their next two closest friends, and someone they disliked—and to list each person’s positive and negative traits. Blumberg then asked whether they had mentioned each trait to any of the four people they were rating (for example, “you think your best friend Gina is conceited. Have you ever shared your observations with Gina?”). This study is disconcerting evidence of something many of us secretly fear: that our employees, co-workers, friends, and family probably are sharing what they think about us—they’re just not sharing it with us! And this grim reality can get grimmer at work. When was the last time your boss sat you down to tell you how you could do better? The last time your colleagues gathered—willingly, voluntarily, and of their own initiative—to critique one another so they could improve? The last time you got honest, critical feedback outside an HR-mandated performance review (or sometimes even in one)? Wait, you can’t think of a time where that happened? You’re not alone. Chances are that the following scenario sounds a bit more familiar. Barb is making a presentation to her team on a new, clearly ill- conceived initiative. When she finishes, the room is surprisingly silent, save a few unconvincing utterances of “Good job,” “Nice plan,” and “Can’t wait to hear more.” Later that day, the unofficial meeting after the meeting (sans Barb) takes place, where her team discusses, often unkindly, what they really thought of her presentation. This scenario is all too common because, despite modern organizations’ lip service to things like feedback and performance management, very few people actually get timely, honest opinions about how they’re doing. We’ve already seen that people prefer to stay MUM rather than share tough information—but are they willing to out-and-out lie? Earlier we met Eleanor Allen, the program manager turned non-profit CEO who improved her self-awareness with the help of her deputy, Evelio. But in spite of her impressive trajectory, like many engineers, Eleanor is an introvert, and has struggled with public speaking for much of her career. [This is certainly not to suggest that being an introvert automatically makes anyone a poor public speaker, but rather that for some introverts, public speak- ing can be especially challenging.] In her early years in particular, she’d agonize over every presentation—and once it was over she’d usually get stuck in a ruminative loop about her performance. After her time in Puerto Rico, Eleanor and her team were bidding on another large water-infrastructure program. When she learned they’d been named one of the two finalists, her first thought was, Oh no . . . I have to make a presentation during the final interview. But she prepared and delivered it as best she could, and even remembers feeling uncharacteristically calm afterward. But much to her disappointment, Eleanor’s team lost the job. As a big believer in external self-awareness, she decided to get some feed- back on her presentation to see whether it had played a role in the loss. Maybe she was missing something and her colleagues could help her understand what it was. So Eleanor asked one of her project team members—let’s call him Phil—what he had thought of her final presentation. “Oh, you did great!” Phil enthusiastically replied. “I don’t know why we didn’t get it.” Eleanor breathed a sigh of relief and concluded that there must have been another reason for the big loss. As DePaulo and Bell conclude, not only are we “practitioners of politeness,” we are especially likely to lie when the other person is personally invested in whatever it is we’re giving them feedback about. So, we lie for the same reason our tribal ancestors did: we don’t want to upset the social apple cart. Instead, we politely accept the “face” people pre- sent to the world (that is, who we think they think they are) and avoid putting forward information that may challenge it—even if doing so would ultimately be useful. For Eleanor, Phil’s white lie was an alarm-clock event that catalyzed a critical insight. With the realization that just casually asking “How did I do?” isn’t enough, she’s since made the commitment to proactively seek specific and focused feedback from people who will tell her the truth. And she’s grown by leaps and bounds as a result: as just one example, as the CEO of global non-profit Water for People, Eleanor recently gave a phenomenal TEDx Mile High talk that would have made poor Phil’s head spin! It seems that nowhere is the adage “You don’t get what you don’t ask for” more true than when it comes to seeking the truth about how others see us. But as Eleanor and others like her usually discover, self-awareness becomes particularly critical, yet infinitely more difficult, when you’re the boss. Studies show that self-aware leaders are more successful and promotable, and some research has even shown that self-awareness is the single greatest predictor of leadership success. The problem is, the higher up you are on the corporate food chain, the less likely you are to be self-aware, an affliction that’s been labeled CEO Disease. After all, who really wants to tell the boss that his management style is alienating people, or that her latest staffing choices are causing friction, or that his clients find him controlling? Complicating matters, as we saw with Steve from chapter 3, the overconfidence that results from past successes can make it challenging for leaders to hear and accept difficult feedback—and thus make their employees more reluctant to give it. Pixar president Ed Catmull has witnessed this reluctance to speak truth to power firsthand. Years before he co-founded his company and became president of Disney Animation Studios, he was a young PhD student at the University of Utah’s nascent computer graphics program. He adored the comradery he had with his professors and fellow graduate students—there were no strict hierarchies, they worked independently, and everyone generally got along. Catmull liked this environment so much that he created a similar structure in his first job out of school. As the head of a small computer animation research team at the New York Institute of Technology, he hired smart people, treated them as equals, and let them do their thing. As a result, they told him pretty much everything that was going on. He was involved in social activities and was basically one of the guys—it felt good. But when Catmull was hired to lead Lucas film’s brand-new computer division, he realized that he’d need to rethink how he managed people. His new team would be bigger, better resourced, and have a much higher pro le. To achieve George Lucas’s ambitious vision of bringing computer technology to Hollywood, Catmull reasoned, he would need to adopt a more formal, hierarchical structure with a man- ager running each of the graphics, video, and audio groups. And when he did that, nearly instantaneously he noticed that something was different. Casual chatter had a habit of going silent whenever he entered the room. He was getting mostly good news and hardly any bad news. And his team was no longer inviting him to their social gatherings. Catmull didn’t like this very much, nor could he figure out why it was happening. He didn’t feel like a different person than University of Utah Ed or New York Tech Ed. But after wrestling with this question for months, he finally realized that his new role as The Boss, coupled with his increasing prominence in the academic community, had changed the way people perceived him. “Even though I hadn’t changed,” he told me, “I recognized that, okay, this is the way it is, and it will probably get worse over time.” In Catmull’s case, the “it” was the MUM effect, and it was presenting a giant obstacle not just in his own performance, but to the collective self-awareness of his team. As we’ll see later in the book, Catmull has made it a top-tier priority to combat the MUM effect and seek the honest truth, not just about himself as a leader, but about the challenges and issues his company is facing. And it has made quite a difference. Yet as we’ll soon see, for leaders in particular, overcoming the MUM effect is only half the battle. If the first barrier to external self-awareness is other people’s reluctance to tell the truth, the second is our reluctance to ask for it. Most of us, at least intellectually, know we should be seeking more feedback than we are currently. Yet even when we have a rational reason to do something, our emotions can still stop us in our tracks; in this case, because asking for feedback makes us uncomfortable, we instead find ways to justify our willful ignorance. In my experience, there are three primary excuses we make, and because they are designed to help us feel better about keeping our heads in the sand, I call them the Ostrich Trinity. But luckily, pushing past these excuses is absolutely possible, and it requires just one simple decision: to seek out the truth on our own terms rather than leaving it in other people’s well-meaning (but MUM) hands. Let’s start with the first excuse: I don’t need to ask for feedback. Having learned about the MUM effect, we already know that this is at-out wrong—and especially wrong for leaders. For proof, we need not look further than the annals of business history. When Pehr Gyllenhammar took over as executive chairman of Volvo in 1971, the future for the automaker looked as bright and shiny as their freshly painted cars. The 36-year-old wunderkind had been born into business royalty; his father, Pehr Gyllenhammar Sr., was the CEO of Scandinavia’s largest insurance company, Skandia. Educated at Sweden’s prestigious Lund University and Switzerland’s Centre d’Etudes Industrielles, Pehr Gyllenhammar Jr. was hardworking, con dent, and a master at leveraging his connections. In fact, he’d only just succeeded his father as the CEO of Skandia when, months later, he replaced his father-in- law at the thriving Swedish car company. From the outset, Gyllenhammar had little interest in maintaining a low pro le. He’d proudly roll into the office each morning in his custom-built 1979 244 Turbo; or his 1980 240 Series with a B21ET engine; or his 1981 262 Coupe—each tailor-made creation was painted bright red with a matching interior. Though no other Volvo sported that color scheme, Gyllenhammar required that his cars be “cheeky” and “provocative” and have “nerve.” That was also how he ran his company. And it seemed to work. At least at first, as he basked in the success of creating Volvo’s innovative team-based craftsmanship model. But this success would soon sow the seeds of his undoing. In the years that followed, Gyllenhammar’s head grew in lock-step with the company’s profits, earning him the nickname “The Emperor.” His hubris, over- confidence, and refusal to take advice from anybody led him to pursue risky deals with paltry returns, and inexplicably, he often bragged about them to the press. In later years, as Volvo was reporting losses and closing plants, Gyllenhammar was Scandinavia’s highest-paid executive. And because he had seeded Volvo’s board with personal friends he knew would never confront him about his mistakes, it seemed all but certain that his decisions would go unchallenged. In September of 1993, Volvo announced a merger with the French state-owned automaker Renault. It was a move that would make the new entity the world’s sixth-largest automaker. And who fancied himself as the chairman of the majority owners? Pehr Gyllenhammar, of course! Together with Renault CEO Louis Schweitzer, they proudly outlined their plan for a new borderless business. But from the moment Volvo’s managers and employees heard the news, they were decidedly not on board. Convinced that it was both a bad business move and an attempt to sell them down the river, one anonymously called the situation “an impenetrable mess.” Yet Gyllenhammar ignored their pleas and remained stunningly con dent in the deal. At one point, he issued an updated prospectus that upped the deal’s projected savings from $4.8 billion to $7.4 billion, despite having no new information to support such inflated estimates. In what must have come as an utter shock to the oblivious “Emperor,” Volvo investors eventually banded together and the board withdrew its proposal for the merger. On that same day, Gyllenhammar resigned; his unwillingness to listen to his employees’ feedback, his refusal to seek input from his closest advisors, and his inability to question his own assumptions would eventually wipe out $1.1 billion in shareholder wealth. The company was acquired by Ford just five years later, and Gyllenhammar’s bright and shiny career tanked along with the company he had so epically mismanaged. Though companies of this size rarely fail because of one factor alone, Gyllenhammar’s hubris and lack of self-awareness were significant contributors. Case in point: years later, in a comical display of his sustained delusion, Gyllenhammar attributed the failed deal to an “envious vendetta” against him. Whether or not we run a multibillion-dollar company, protecting our fragile egos by deciding we are right and others are wrong can be risky at best and devastating at worst. The good news is that pushing past the first excuse of the Ostrich Trinity is fairly simple: we must decide to pull our heads out of the sand and recognize that others’ opinions are just as important for insight as our own. Sometimes, though, we do want to ask for feedback, but we’re worried that doing so would convey weakness or come at a cost. This second excuse, however—I shouldn’t ask for feedback—is equally unfounded. One study showed that 83 percent of top-performing leaders regularly solicit feedback, compared to just 17 percent of the worst- performing ones. If anything, we are socially and professionally rewarded for seeking critical feedback; leaders who do are seen as more effective, not just by their bosses, but by their peers and employees (interestingly, those who seek primarily positive feedback are seen as less effective). And not surprisingly, nearly three-quarters of our unicorns reported having a proactive strategy to get information from people who will tell them the truth. So if we take a page from their book and muster the courage to do so, we’ll be rewarded with self-insight and a new perspective on how we can improve. The final excuse in the Ostrich Trinity is perhaps the most understandable: I don’t want to ask for feedback. It doesn’t take a degree in organizational psychology to know that feedback can be painful; even though we intellectually understand its value, we fear it simply because it might be a bitter pill to swallow. Over the course of my career, I’ve done hundreds of presentations and workshops, and to this day, every single time I sit down to read audience evaluations, I get a huge pit in my stomach. I’m sure you know that feeling—it’s the dread that overtakes you when walking into your performance appraisal with your boss, or sitting down for a marriage counseling session, or having the first conversation with a friend or colleague after you’ve had a conflict. But while most people are afraid of feedback, surely the ease with which our unicorns hear it should serve as inspiration for the rest of us, right? As it turns out, they have the same reactions that we do (despite their mythical moniker, they are still human). One sales executive quipped, “Are you kidding me? I hate hearing that I’m not perfect!” But what makes unicorns truly special is the fact that they push through this fear, defensiveness, and vulnerability and go for it anyway. As U.S. President Franklin Delano Roosevelt once opined, “Courage is not the absence of fear, but rather the assessment that something else is more important than fear.” In our case, that “something else” is insight. The first method, 360-degree feedback, is seemingly ubiquitous in modern organizations. With a rich history dating back to the 1950s, it’s designed to provide insight into how we’re seen not only by our man- agers, but by a variety of groups, like direct reports, peers, clients, or board members. (It’s called a 360 because we’re getting data from all directions.) Recent technological advances have made 360s more accessible for workers in companies large and small, while the simultaneous growth of my field, organizational psychology, has made them increasingly popular. And nowadays, depending on who you ask, anywhere from 30 percent to 90 percent of organizations use this tool in one way or another. But 360s aren’t just for businesspeople: they can be used with great success in families, schools, and community organizations, to name a few examples. In one study, undergraduates in a science and technology program that received 360-degree feedback (from their friends, parents, and teachers) turned in higher-quality homework and even received better grades in the course. So much has been written about 360 reviews—and chances are you’ve had at least one over the course of your career—that I won’t retread too much ground other than to briefly mention their advantages and disadvantages when it comes to increasing our external self- awareness. (And if you haven’t yet taken one, see appendix N for a few free resources.) One of the biggest upsides of 360s is their anonymity. Because responses are averaged across respondents, people can provide their feedback without fear that it will come back to bite them. This is particularly true for leaders whose subordinates fear the repercussions of being brutally honest; luckily, the MUM effect usually disappears when feedback can’t be traced back to us. Despite the clear benefits of 360s, they also come with a few disadvantages that prevent them from being the “be-all, end-all” route to external self-awareness. First and foremost, because most 360s are numeric, it can be difficult to interpret our results in a meaningful or actionable way. Okay, so I got a 2 out of 5 on relationship-building, we might think, but what does that actually mean? And what should I be doing differently? No one loves data and numbers more than I do, but this kind of information isn’t always easy to translate into insight. One way to get around this is through a variation that I prefer to use in my executive coaching work, something I call a “qualitative 360.” Instead of just sending people a survey, I track them down and talk to them. Then, when I report the findings, I can provide my clients with specific themes and examples that paint a richer picture. Of course, these disadvantages don’t mean we should abandon the practice of 360-feedback altogether. Instead, we should use it in conjunction with other approaches. In particular, a 360 can be an extremely helpful first step in learning about pillars like our patterns, reactions, and impact on others. Let’s now examine a complementary approach that I have found to be one of the most powerful feedback tools at our disposal. One chilly winter afternoon, I sat in a cacophonous coffee shop waiting for Kim, my newest client, to walk through the door. Her boss, Greg, had hired me to work with her in the wake of a rather strange series of events. According to Greg, Kim, who ran his compliance function, was struggling to deal with some difficult feedback she’d received in a recent 360. Her behavior was becoming increasingly concerning—in the past month alone, Greg had received two complaints about her from managers in other departments. Knowing there are always two sides to every story, I was eager to hear Kim’s perspective. When the door opened with a whoosh of cold air, I looked up to see a tiny, impeccably dressed woman with a wild mop of brown hair impatiently scanning the room. Her intense eyes eventually locked with mine. “Tasha?” she mouthed. I nodded, waving her over. We exchanged a few pleasantries, but I could see she wasn’t thrilled to be there. I asked if she’d ever gotten that type of feedback before. “Never,” Kim said. “The reason this is so shocking to me is that I’ve always been pretty insecure—the fact that anyone could perceive me as full of myself is . . . well, it breaks my heart.” I could see tears welling up in her eyes. “I have no idea what I’m doing to create this impression,” she said despairingly. I truly felt for Kim. Having worked with so many clients in the same position, I know how difficult it is to learn that others don’t always see us the way we see us. Indeed, the reason she’d been so blindsided was that she hadn’t been asking for the right kind of feedback—or, to be frank, any feedback at all. Clearly, we had our work cut out for us. But I commended Kim for the huge step she was taking—it was a step I was sure she’d soon look back on as a turning point in her career. It was an astute question that illustrated an unfortunate truth about feedback: if we don’t understand the behavior we’re getting feedback about, we don’t yet have the power to make better choices. Luckily, I had a solution in my hip pocket—I was just worried Kim would dismiss it out of hand. “I think we need to get you some better data,” I began, “and the only way to do that is for you to ask a couple of people a little more directly.” As I predicted, Kim worried that doing this would be a show of weakness (remember the second excuse of the Ostrich Trinity?). But after a little convincing, she agreed to try it. To help her gain more insight about how she was seen, Kim and I used an approach that I call the RIGHT Feedback Process. The idea is that all feedback (and all sources of feedback) are not created equal: we have to choose the RIGHT people, ask them the RIGHT questions, and use the RIGHT process to get the kind of valuable information that leads to actionable insight. When I first started studying our unicorns, I expected that they would report seeking feedback from everybody: their colleagues, their friends and neighbors, the person next to them in line at the grocery store. But to my amazement, they reported the opposite approach. One unicorn, a bright young customer-service manager in the Philippines, noted, “I get feedback all the time, but not from all the people. I rely on a small, trusted group that I know will tell me the truth.” And as we’ll see, she’s not alone. In fact, as a group, our unicorns showed remarkable consistency in just how selective they were. They recognize that quality trumps quantity and that not all input creates true insight—which is why they always work to choose the right people. Now, before we look at who we should turn to for feedback, let’s start with who we shouldn’t turn to. The first category, unloving critics, are the type of people who would criticize everything we do: a jealous co-worker, an ex with a grudge, or an irrationally uptight boss. Whatever their motives—they don’t want us to succeed, they don’t trust us, or they’re just unreasonably critical people—their feedback rarely objectively reflects reality. So if we shouldn’t ask for feedback from unloving critics or uncritical lovers, who should we ask? The answer is loving critics: people who will be honest with us while still having our best interests at heart. But the ideal people for this job aren’t always the most obvious. It’s easy to assume that those we’re closest to—a spouse, a best friend, etc.—would make the best loving critics. But just because someone knows us best doesn’t mean they will serve us well in this role. There are a few additional factors you’ll want to consider. The first is a level of mutual trust. A loving critic doesn’t need to be someone who would help you bury a body or bail you out of jail at 2:00 a.m. (though hopefully you’d never need this kind of friend), but they should be someone you implicitly know has your best interests at heart. Remember that closeness and trust aren’t always the same thing. Often, the longer we’ve known someone, and particularly if we’re related to them, the more complex our relationship can be (I believe the word “frenemy” was invented specifically for this situation). Choosing someone with whom we have a long and convoluted history won’t necessarily preclude helpful feedback, but it might make the conversation more complicated or emotionally charged than it needs to be. By the same token, there might be someone you don’t know nearly as well, such as a co-worker or casual acquaintance, who genuinely wants you to be successful and is eager to play a greater role in helping you succeed. In Kim’s case, one of her loving critics—the one I’d argue gave her the most helpful feedback—was a peer whom she’d worked with for years, but with whom she wasn’t particularly close. They didn’t hang out socially, but Kim knew her well enough to know she was in- vested in her success. Identifying loving critics isn’t easy, but here, actions speak louder than words. Does she go out of her way to help you improve? Does he invest his time and energy to help you grow and succeed? A story from the early days of Pixar president Ed Catmull’s career is a perfect example of how to spot a loving critic. As I mentioned earlier, long before Catmull founded Pixar, he was a PhD student in the University of Utah’s computer science program— and when it was time to write his dissertation, he was a nervous one. Even though he had made the groundbreaking discovery of the z- buffer, an algorithm that allows computers to track the depth of three- dimensional objects, he had never written much of anything in his life. When Catmull finally finished his tome, he submitted it to his dissertation committee and eagerly awaited their reviews. The first committee member to respond was overwhelmingly complimentary. Maybe my writing isn’t so bad after all, Catmull concluded. Later that week, more feedback came in from another committee member, who also happened to be the chair of the department. But his feedback wasn’t so kind, communicating in no uncertain terms that the thesis was, in fact, horribly written. For days, Catmull scratched his head trying to square these two seemingly contradictory responses. Then one afternoon, the complimentary committee member suddenly appeared in Catmull’s office and proceeded to trash his thesis, providing a laundry list of all the things that were wrong with it. And even though that feedback was nearly identical to what he’d heard from the department chair, Catmull’s reaction couldn’t have been more different. What is wrong with this guy? he angrily wondered. He wasn’t denying that the feedback was accurate; the issue was the committee member’s motive for giving it. He doesn’t want to help, Catmull thought. He just wants to impress the department chair. It didn’t take much deliberation for Catmull to decide to remove him from his committee. Although his now-former committee member clearly didn’t have his best interests at heart, Catmull had a hunch that the department chair did. His instincts proved to be correct when the very busy chair invited him to his home to discuss how to improve the manuscript, and proceeded to spend an entire day with him reviewing and revising. The finished product was impressive. Not only did Catmull pass his defense with flying colors; the work is widely considered one of the most historically significant contributions to the field of computer graphics. But the more important lesson Catmull learned from the experience was that anyone can give critical feedback and then cut and run—it’s the people who stick around to help you see it through you can really trust. However, when it comes to feedback, good intentions aren’t always enough. (You know what they say about the road to hell . . .) To produce truly useful insight, the person must also have sufficient exposure to the behavior you want feedback on and a clear picture of what success looks like. For example, one of my closest friends is a lawyer. Because she has demonstrated time and again that she has my best interests at heart, she would be a great loving-critic contender— but not for everything. If I asked her to give me feedback on my public speaking skills, for example, we’d run into two problems. First, she almost never hears me speak, so she wouldn’t have enough data to really comment on how I’m doing. The other problem is that, since she isn’t very familiar with the world of public speaking (current trends, dos and don’ts, etc. ), the feedback she gives me may be candid and sincere— but perhaps not especially helpful. However, an area where she could add tremendous value might be helping me understand how I show up in social situations. She has plenty of exposure to my behavior in this realm, and because she’s one of the most socially savvy people I know, her observations would carry a lot of weight. The third and final factor in selecting a loving critic is whether they will be willing and able to be brutally honest with you. The best yardstick here is whether they’ve ever told you a tough truth. But even if they haven’t, you can examine their behavior in other situations. Someone who isn’t afraid to speak his or her mind, even when doing so may cause social discomfort, is likely to be a good loving critic. Part of the reason Kim selected the peer I mentioned earlier was that she had seen her raise tough issues in meetings. However, while keeping all of this in mind, you should also listen to your instincts. As Malcolm Gladwell points out in his book Blink, our gut reactions can be surprisingly informative. In this case, I tend to agree: if a loving-critic candidate doesn’t quite feel right to you, they probably aren’t. Once you’ve chosen your loving critics, it’s time to figure out the right questions to ask them. At this point, you’re not yet having the actual feedback conversation (we’ll get to that soon)—right now you’re simply getting your thoughts together regarding how you want the conversation to go and how you’ll use it to better understand the “you” that you’re projecting to the world. The most important characteristic of the right questions is specificity. A good way to think about this is to look at the scientific method. When scientists—chemists, physicists, and yes, even psychologists— build theories, we test specific hypotheses about the phenomenon we’re studying. By the same token, if you can come up with a working hypothesis or two about how other people see you—for example, “I think I have a tendency to come across as timid and non-authoritative when I meet with clients; is that your experience?”—it will give you a focused framework for the conversation and help you either confirm or deny your suspicion. This emphasis on specificity might be counterintuitive if you’ve become accustomed to the common open-ended approaches to feedback in many organizations, like the Start/Stop/Continue Model. [If you’re not familiar with this model: you’re asking what you should start doing that you’re not doing, what to stop doing that isn’t serving you well, and what to continue doing to be successful.] While this method has merits, for our purposes, it’s far too broad. First off, asking your loving critics for general feedback with no parameters or specifics could be confusing for them and unhelpful to you. For example, if I said to a client, “I’d love any observations about how I’m doing”—that client won’t know what’s on the table. Do I want feedback on whether I ask good questions during coaching sessions? Whether my jokes are funny? Whether I’m a snazzy dresser? This ambiguity could make the feedback conversation uncomfortable for both of us. Imagine if I went in wanting to learn how I’m doing on my project but come out of it with feedback that I wear the wrong color of makeup (incidentally, that actually happened to a friend of mine during a conversation with one of her graduate professors). The bottom line is that it’s on you to ask the questions you want answered—and in general, the more specific you are, the more seamless and successful the process will be for both you and your loving critics. In general, it’s a good idea to focus on just one or two working hypotheses at a time. As with most things, when you try to do too much at once, you can get overwhelmed—and defensive—pretty quickly. (“You mean not only is my makeup the wrong color, but I’m also seen as a misanthrope who makes everyone uncomfortable in meetings? !”) In general, when it comes to self-awareness and self-improvement, I’m a big proponent of realism. You can’t—and shouldn’t—try to transform yourself overnight. And in fact, the people I’ve seen make the most dramatic improvements are usually the ones who were laser-focused on one thing at a time. Let’s turn back to Kim. She was armed with her target list of loving critics (the right people) and her working hypothesis (the right questions), so it was now time to build the right process. Kim started by approaching her three desired loving critics: me (an easy sell) and two of her peers. She set aside 15 minutes for each conversation, which she began by giving them some context—sharing what she’d learned during her 360 and why she wanted to know more. Specifically, she requested that they observe her in meetings (plus any other notable interactions) and tell her when she was and wasn’t being abrasive. And despite her enthusiasm to get started, she acknowledged that what she was asking for wasn’t a small favor and suggested that they think about it before accepting. This ensured that they weren’t just agreeing out of politeness—and after thinking about it, both enthusiastically agreed the very next day. At this point, all that was left to do was implement a solid process to extract the golden egg: their feedback. First, the gestation period. Kim’s loving critics would need a window of time to watch her in a few meetings and record some good observations—a month seemed sufficient. Second, the harvesting of the data. Kim requested one 30-minute phone call every month with each loving critic for the next three months. As we’ll soon see, this mere four and a half hours would yield a priceless return. Over the course of those three months, Kim diligently held her feedback meetings with her peers, and she and I continued to meet monthly. Because she’d set it up so carefully, the conversations went like clockwork. This isn’t to say that the feedback was easy to hear. Kim made many shocking discoveries, but the important thing was that she was committed to working through them. For example, in the first meeting I observed, I noticed that Kim spent most of her time focused on the negative (complaining, pointing out what wasn’t going well, etc.). I gave her the feedback, reading the specific examples of the behavior I’d noticed. And instead of getting defensive, she said “I never noticed I was doing that.” By the next meeting I attended, she was already approaching things more neutrally and calling out the positive. Another loving critic pointed out a time when Kim had been unnecessarily blunt with someone, which resulted in another “aha moment.” Kim had grown up in an unusually direct family, and she was now seeing that what felt normal to her was often uncomfortable for others. She needed to meet people on their terms rather than hers. With the help of her loving critics, Kim built a better picture in her mind of how her behavior was coming across. As she experimented with new choices, she began to see that being more diplomatic didn’t just improve her relationships; getting her points across without the collateral damage actually made it easier to get work done. She sure could communicate a lot better, she found, when people weren’t scared of her. Perhaps Kim’s biggest turning point came when she discovered the “trigger” that sent her into a downward spiral: the feeling that her knowledge was being questioned. And with that discovery came control. She started experimenting with approaches to tame her reactions when she’d been set off, and noticed that simply giving her inner voice the opportunity to express itself helped. Merely thinking I feel attacked or criticized right now helped her rise above the temptation to instantly act upon that feeling (naming our emotions to the rescue!). She also found that a few moments of preparation could help her stay calm. Before walking into a meeting that she thought might trigger her, she now takes, in her words, a “mental valium.” This metaphorical medication gives her the power to stay calm and open-minded, and to ask people questions to better understand where they’re coming from instead of jumping down their throats. About a month after Kim and I had completed our work together, her boss summoned me to his office for a discussion. I was worried that she’d started to slide back into her old behaviors. But when I walked into Greg’s office, the normally taciturn man gave me a giant hug. In addition to sharing the dramatic changes he’d noticed personally, Greg reported that the complaints from other departments had disappeared. (It’s since been more than two years, and he’s never gotten another call.) Kim’s prickly relationships began to soften and deepen. She felt less frustrated, more con dent, and happier at work and at home. Once Greg came to trust her, he began to give her more opportunities and more challenges—and she was nailing them. In fact, Greg recently shared that Kim is now his most valued team member. It was one of the most remarkable transformations I’ve ever seen—a truly inspiring example of insight in action. In my experience, the RIGHT feedback process is probably the most powerful booster of external self-awareness that you have at your disposal—one that’s especially well suited for the workplace. But work isn’t the only place where external self-awareness matters. Aren’t most of us equally curious about how we’re seen in our personal lives—by our friends, our neighbors, our community, and our family? While the RIGHT method can certainly be applied to this sort of feedback, there is another slightly simpler method for learning how we show up in the personal realm. I call it the Dinner of Truth, and if that sounds slightly ominous, that’s because it is. Yet for those who make the brave choice to try it, the Dinner of Truth can have an astonishing impact not just on our external self-awareness, but on our most important personal relationships. It was an unusually sunny afternoon in the Pacific Northwest, and professor Josh Misner was driving his kids home from school. As they sat squished together in the front bench seat of his old Ford pickup, the trio cheerfully reported on their respective days. This was one of those everyday joyful moments that Misner loves to revel in. A prominent member of the Good Men Project, Misner is a special breed of amazingly modern father, perfectly in touch with his feelings and proud to make it known that he takes the job of raising his kids even more seriously than he does his job as an accomplished and hardworking communications professor. Once his children had finished, he told them about an exercise he’d been tinkering with for one of his communication classes. The topic, as it so happens, was self-awareness. Suddenly, Misner realized that the perfect opportunity to test the exercise was staring him in the face. After all, he couldn’t think of anyone on this earth with whom he’d rather have solid communication than his children. And even though they were young, he figured he’d get some good data—kids have a knack for saying exactly what they’re thinking. “Sure, Daddy!” his seven-year-old son Parker and ten-year-old daughter Bella enthusiastically responded. Misner was concerned when they started squirming uncomfortably in their seats. “Um, you’re good, Dad!” said Bella. “Yep, nothing bugs us about you, Dad!” echoed Parker. Misner loved being a father. He knew he was good at it. What could possibly be making them so uncomfortable? It can’t be anything serious, he reassured himself. Painful as it was, Misner pressed on, determined to stick to the exercise that he had devised. He took a deep breath and started asking questions: “What do you hear me yelling about the most?” “What impact does it have on you?” “What can I do differently?” Then he listened to their answers without getting upset or defensive—though, as he recounts, it was not easy. That conversation marked the beginning of a new journey, one that first transformed his relationship with his children and then, inevitably, changed him. Their feedback served as a profound reminder of the importance of listening and being patient. He felt more empathy for his kids—and now when he becomes frustrated with them, he remembers how hurtful it is when he flies off the handle. Now he watches his words and his actions much more closely. This ingenious exercise in- spired Misner to make many positive changes in his own life, and the Dinner of Truth has proven time and again to produce radical insight. Contact a close friend, family member, or mentor—someone who knows you well and with whom you want to strengthen your relationship. Invite this person to share a meal with you. During the meal, ask them to tell you the one thing that annoys them most about you. But first, tell the person why you’re doing this, that nothing is off-limits, and that you aren’t allowed to answer defensively—only to listen with an open heart and mind. Now, as someone who has actually tried this (let this be proof that there is nothing I will not do in the name of research), I can tell you that the answer isn’t easy to hear. I did it twice, and both times I dreaded the conversation more than a trip to the dentist—and I really, really don’t like going to the dentist. Misner’s students generally react the same way. “As soon as I present the exercise,” Misner told me, “I can see the blood drain out of their faces and their mouths drop open.” He fully recognizes that it requires courage—but thousands of students have lived to tell the tale and are wiser for it. And if you set yourself up for success, the conversation will probably go more smoothly than you think. Over the years, Misner has assembled valuable list of dos and don’ts to guide his students in completing this exercise. First, he says, mental preparation is key. Spend some time trying to anticipate what might be said and bracing yourself for the worst-case scenario. Second, make a decision about how “deep” you want to go. The closer we are to the person we choose, the more insight we stand to gain, but the scarier the conversation might be. Third, Misner warns his students that the person you ask might not be ready to open up to you right away; if that’s the case, he suggests reminding them that this is intended to help you grow, and that all you want to do is check your perceptions against theirs. This gives them permission to be honest and candid rather than cautious and polite. Then, once your dinner companion starts sharing the feedback, Misner says, your job is to keep the conversation going. Yes, I know it will be tempting to shut down this line of inquiry as quickly as humanly possible. But to get the most out of this exercise, Misner recommends asking questions to clarify as necessary, just as he did with his kids during his maiden voyage of the exercise. As scary as the Dinner of Truth might feel at first, you might be surprised at how truly exhilarating—and immeasurably helpful—it is to learn how someone you deeply care about really sees you. And I probably don’t have to tell you that this is true for all of the tools we’ve reviewed in this chapter. Although it usually feels safer to train our gaze inward, we can get so comfortable in our safe, warm cocoon of delusion that we don’t even realize we’re in it. That’s precisely the reason we need feedback. So choose your loving critics, make a plan, and get ready to bask in your newfound insight. But learning how other people see us—whether it’s through a 360, the RIGHT Feedback Process, or a Dinner of Truth—is only the first step on the path to external self-awareness. As eye-opening as feedback can be, if we want to turn it into the kind of insight that makes our life better, we need to develop a few more equally critical and rewarding skills: to receive it with grace, to commit to reflecting on it, and to intelligently respond to it. Let’s now look at how to put feedback to work. - This is an extract from Insight: The Power of Self-Awareness in a Self-Deluded World by Tasha Eurich which is out now: published by Pan Macmillan as part of their Smart Thinkers series, and priced £18.99. Keep an eye on Twitter @psychmag for your chance to win a copy.